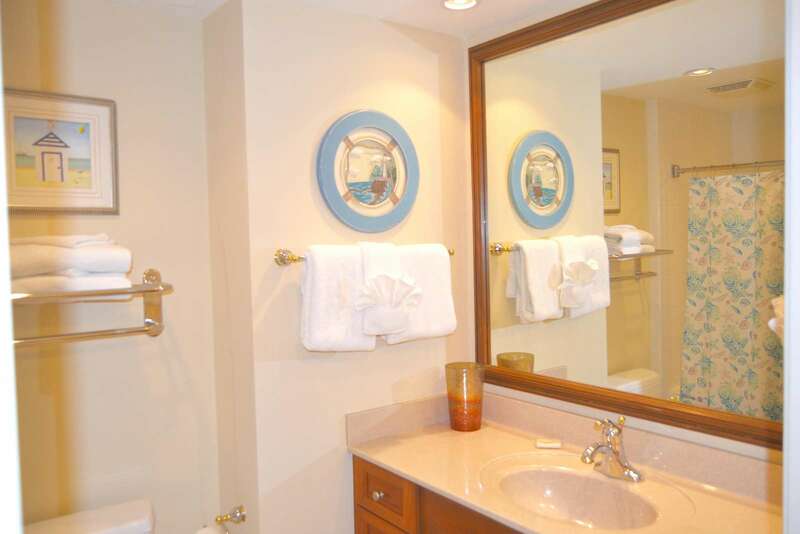 Beauty and exclusivity awaits you at The Mar Vista Grande. 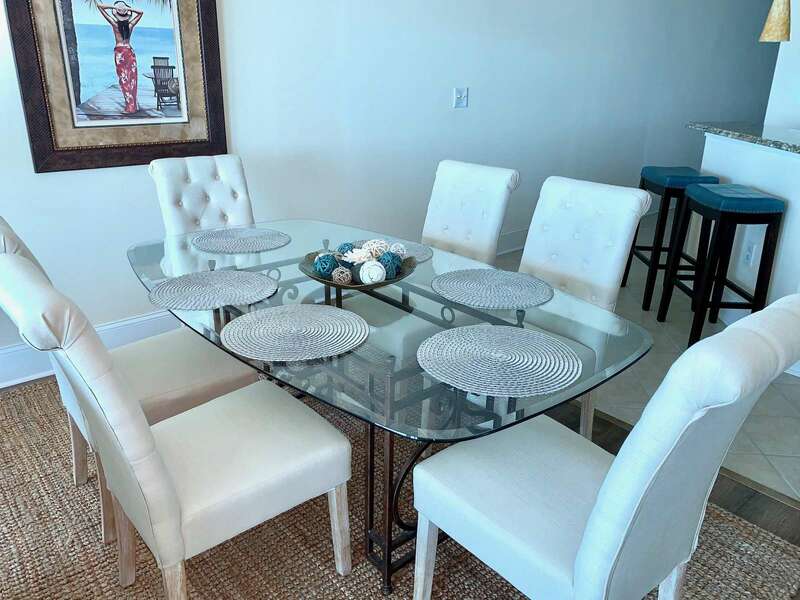 Enjoy the intimate and luxurious vacation condominiums that have earned The Mar Vista Grande it's 4 diamond, rating. 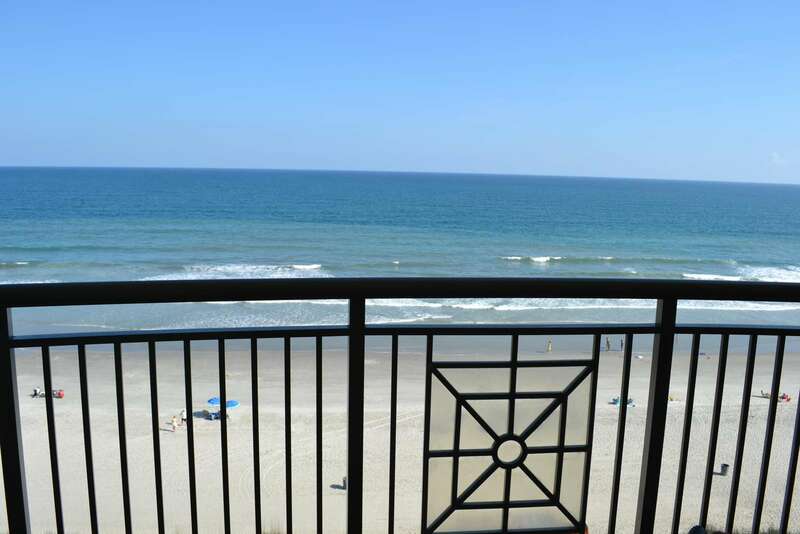 Offering fully equipped, 3br3ba and 4br/3ba oceanfront and ocean view units with spacious floor plans and the best amenities on the beach. 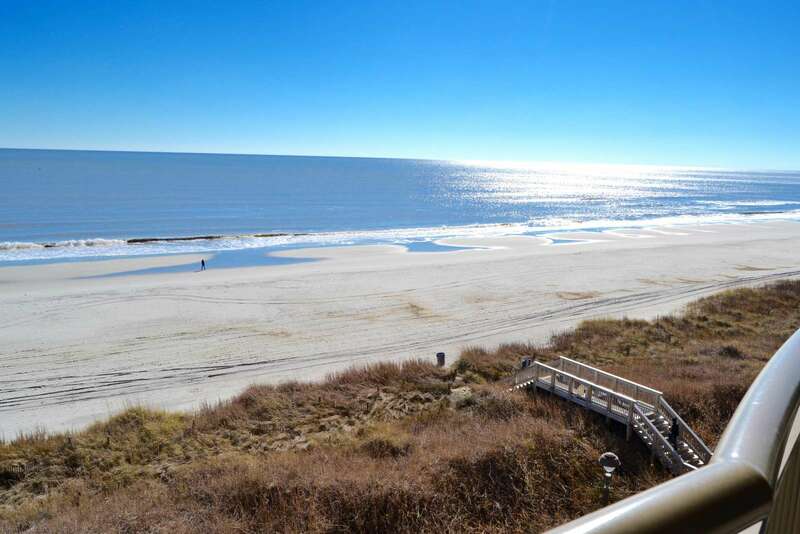 The tropical landscaping, and private beach access make The Mar Vista Grande an unparalleled, luxury property situated along the north end of the Grand Strand. 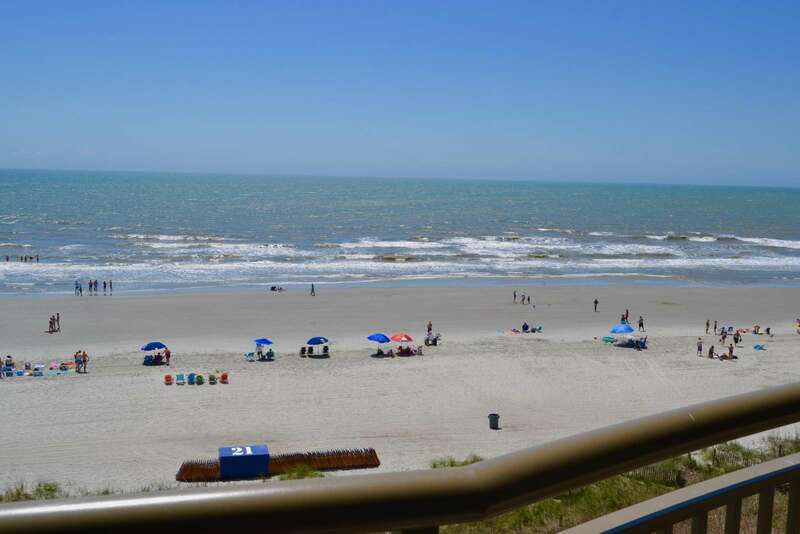 Whether your enjoying the South Carolina Sun or a drink from the Tiki Bar, or one of the indoor or outdoor pool areas, or shelling the miles and miles of sandy white beaches along the Atlantic, The Mar Vista Grande in North Myrtle Beach is your only choice for your next luxury, vacation destination. 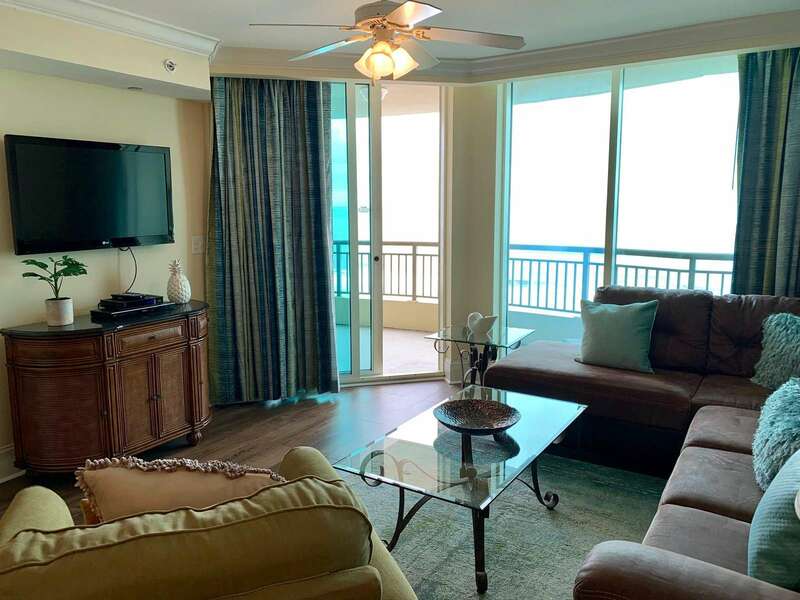 Now available for vacation rental this fabulous, fully furnished, professionally decorated, 3br/3ba club floor, oceanfront condominium in The Mar Vista Grande, a Four Diamond, AAA rated property. 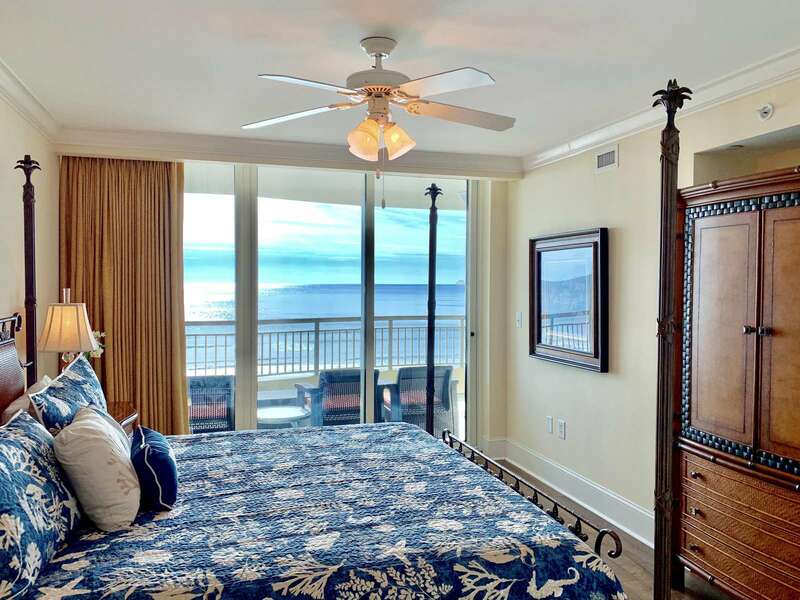 This spectacular, split plan features an oceanfront master suite with private bath. 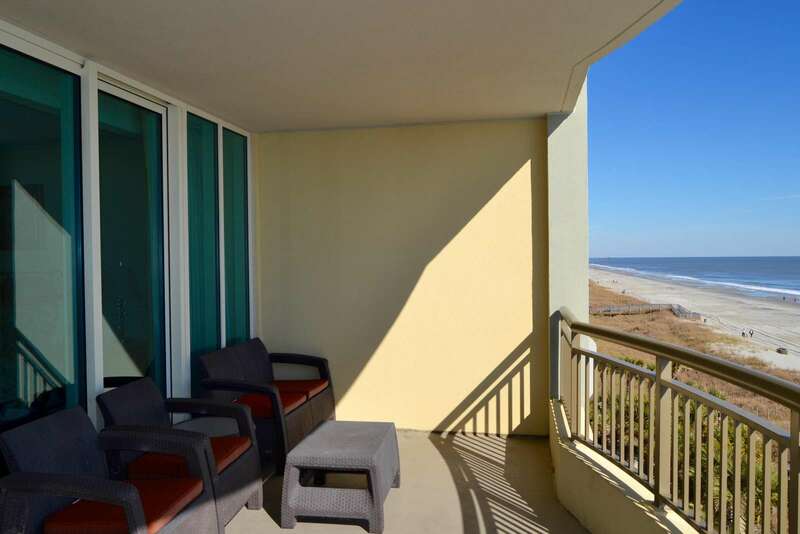 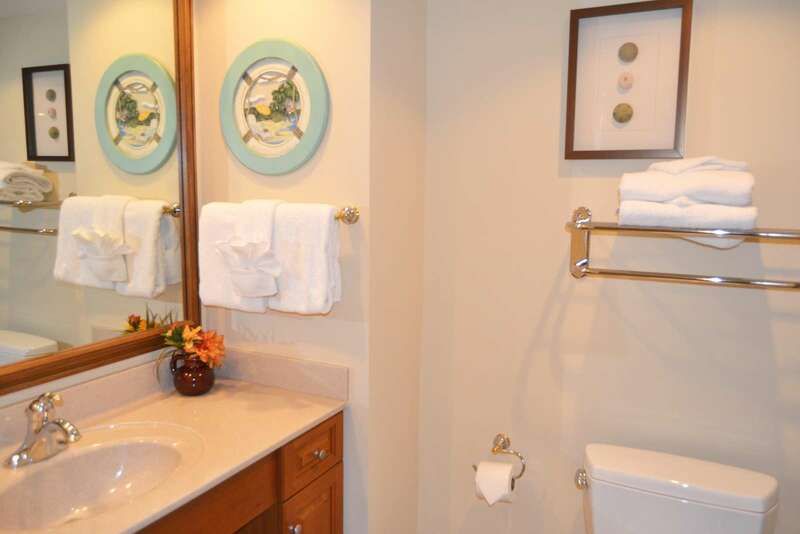 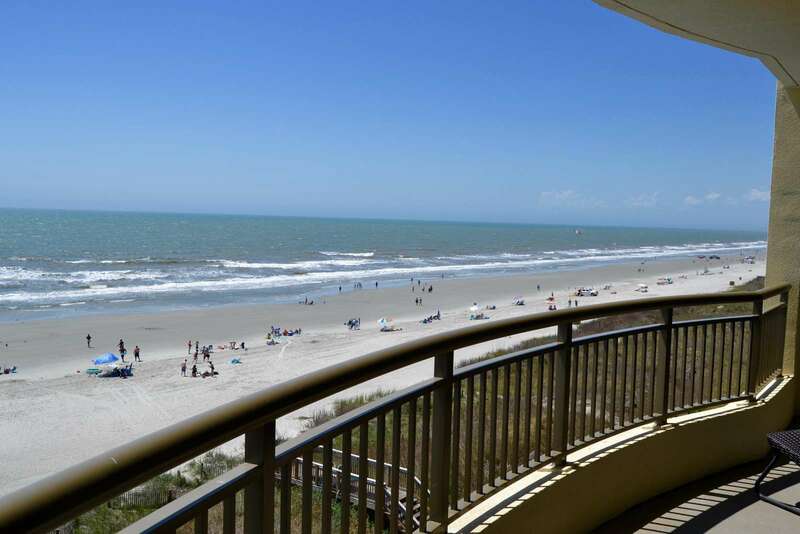 Upgrades include walk in closet, crown molding, direct, oceanfront views and balcony access. 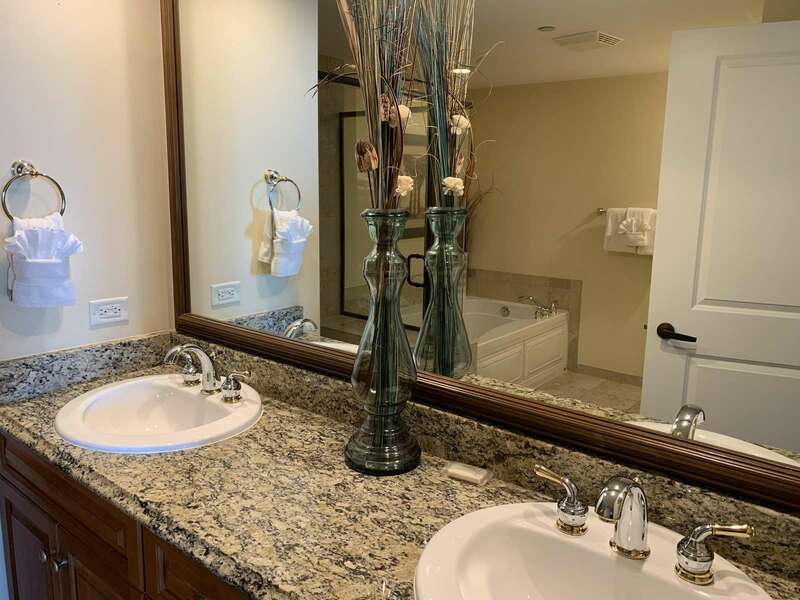 Master bath features include double sinks, granite counter top, walk-in ceramic tiled shower with seat, whirlpool tub and linen closet. 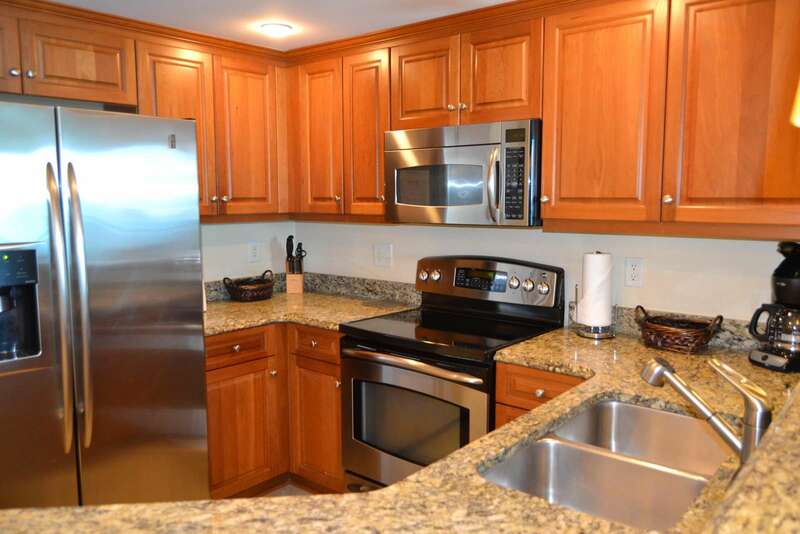 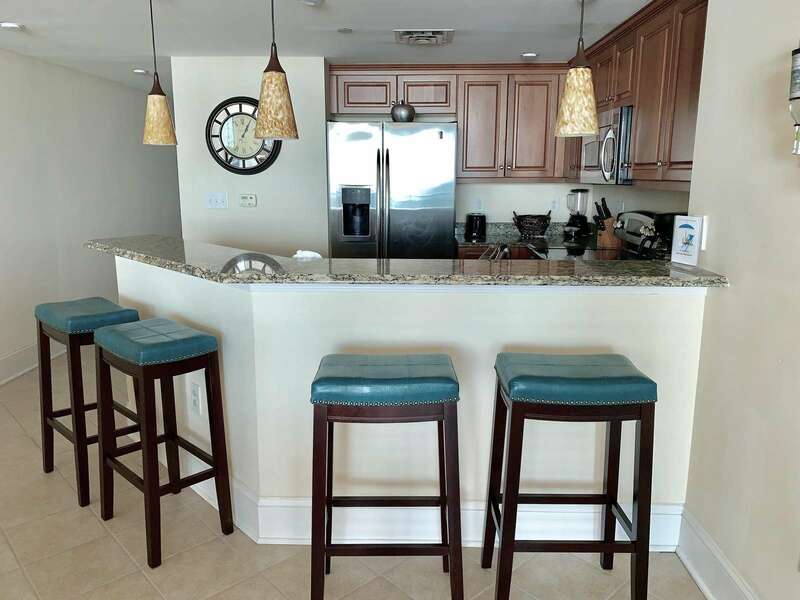 The gourmet kitchen faces the ocean and is fully equipped including a granite breakfast bar, wood cabinetry, stainless appliances and stacked washer/dryer. 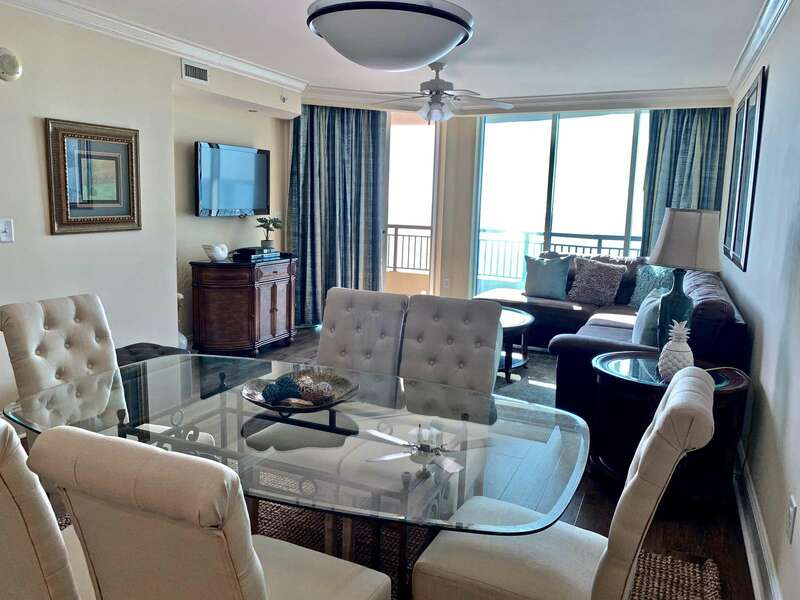 Both living and dining areas have sweeping, oceanfront views and elegantly furnished with a flat screen TV and DVD player. 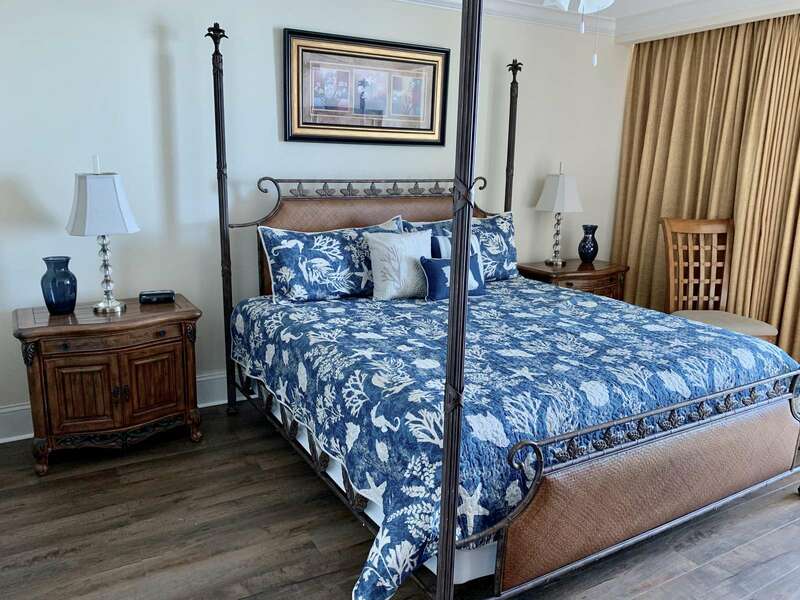 Guest bedroom 2 features dual queen beds and private bath. 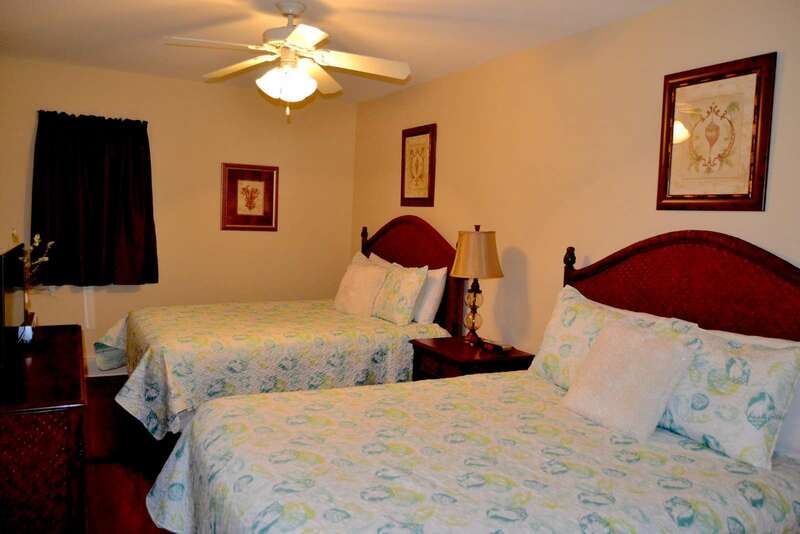 Guest bedroom 3 includes two additional queen beds and conveniently located, across from bathroom 3. 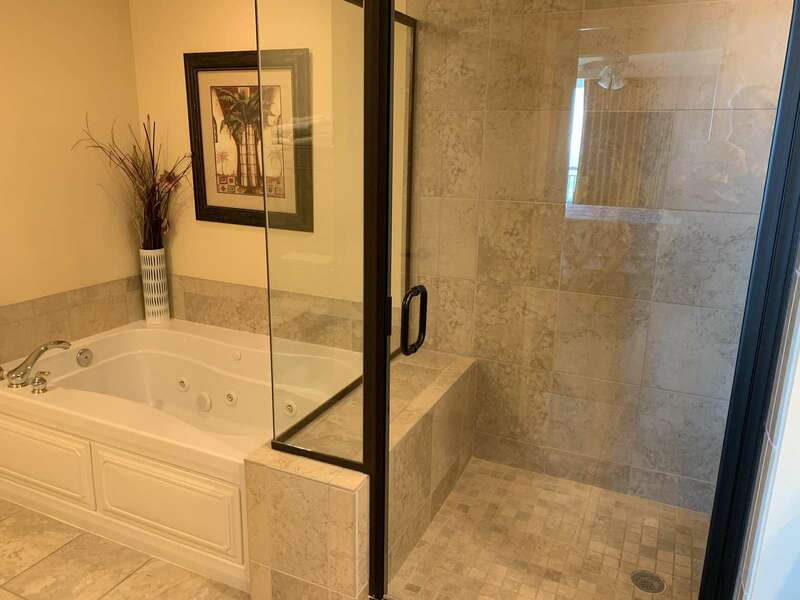 Additional baths are equipped with deep soaking tubs/shower combinations and ceramic tiled walls and floors and wood cabinetry. 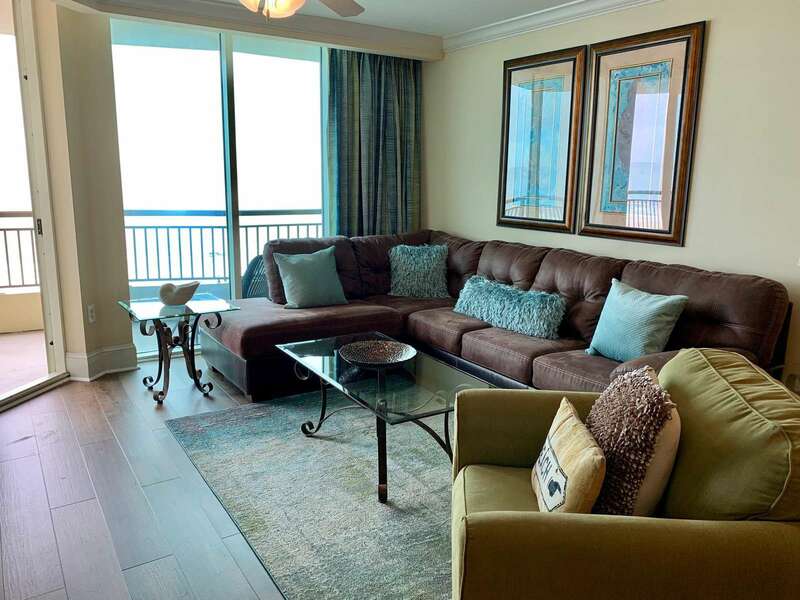 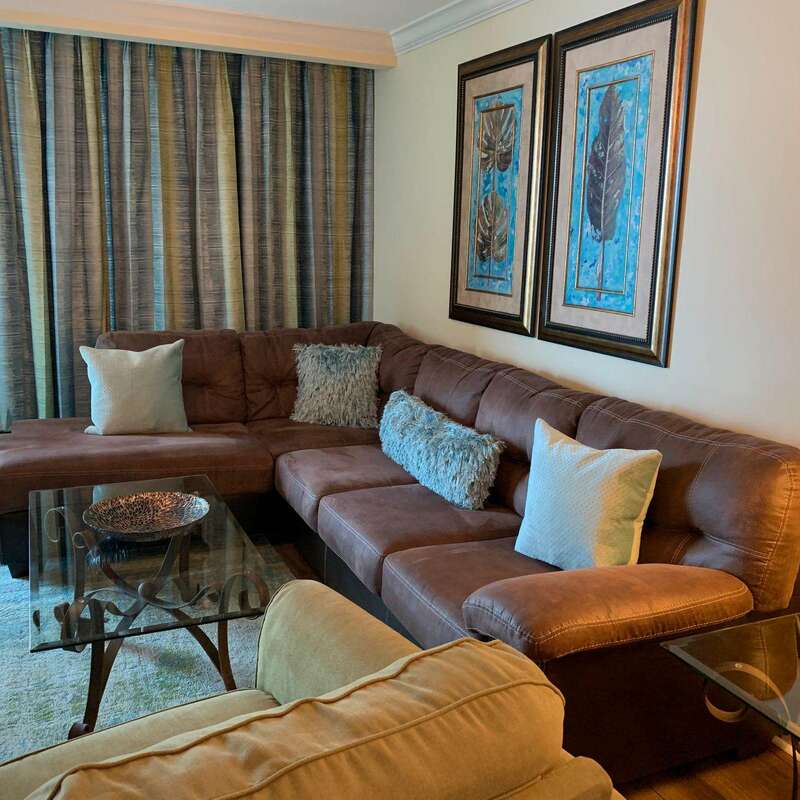 Whether your relaxing on the oversized balcony or enjoying the cable TV or wifi, this one of a kind unit is fabulous! 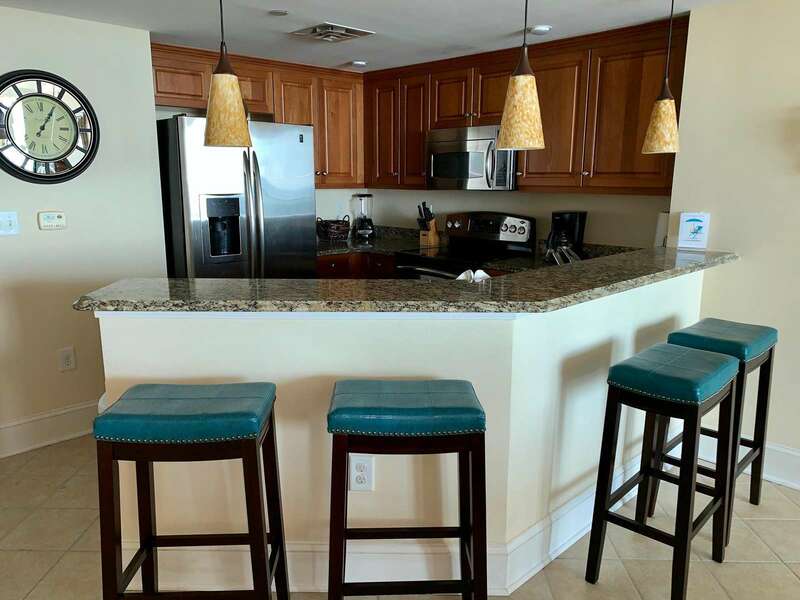 The building amenities include heated and cooled, enclosed hallways, four high speed elevators, on site state-of-the-art fitness center, indoor and outdoor pool areas with hot tubs and lazy river, private beach access, seasonal Tiki bar, grilling area and four enclosed levels of parking. 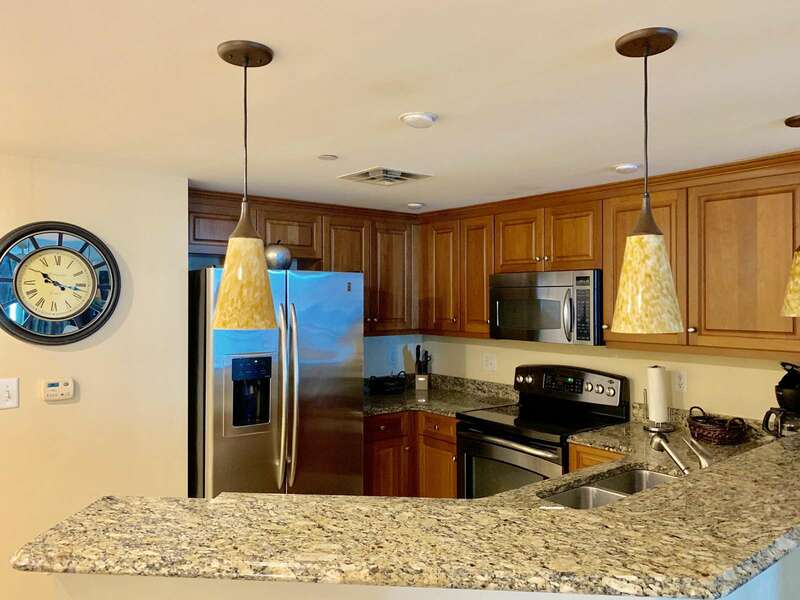 Conveniently located one traffic light from Main St. and the Highway 31 connector. 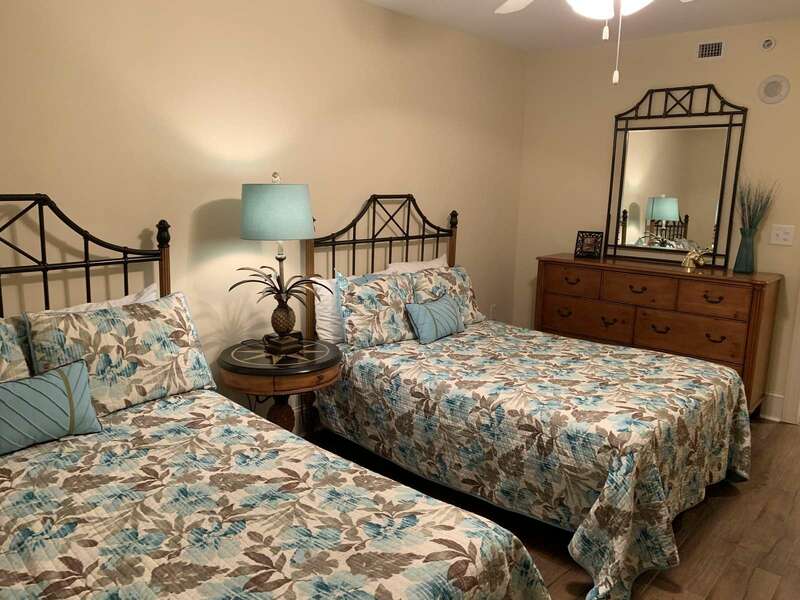 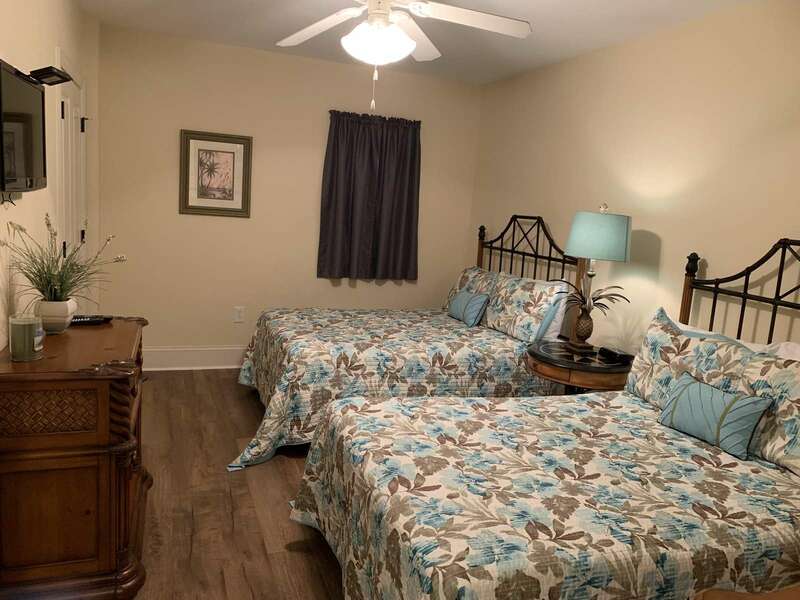 Around the corner from restaurant row, outlet shopping, world renown golf, water sports, and all of the Myrtle Beach area attractions including; Barefoot Landing. 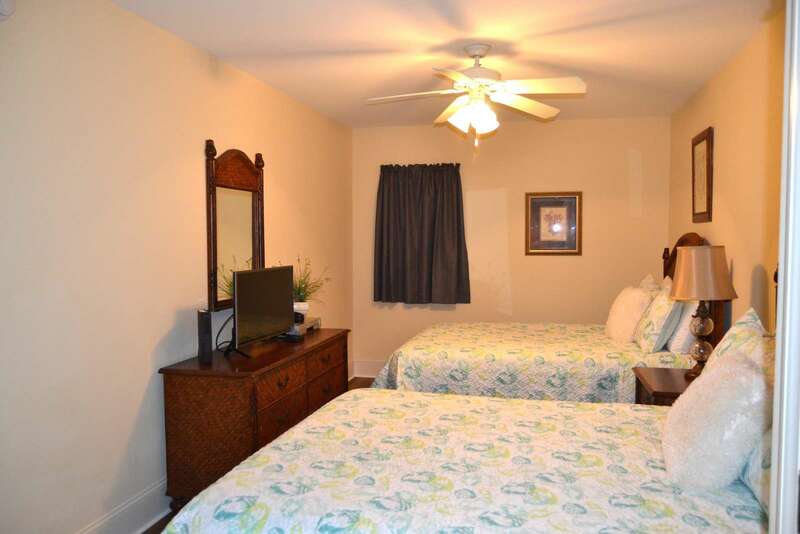 This property has 1 King(s), 2 King(s), 2 Queen(s).